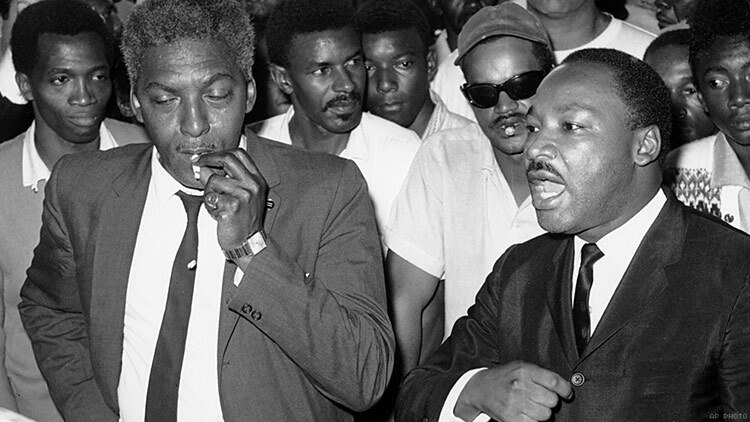 Bayard Rustin helped Martin Luther King Jr. achieve his vision of a more equitable society, even after King was assassinated 50 years ago. Today the forces of division and greed are relentlessly trying to draw lines of separation based on race, gender, class, sexual orientation, and gender identity. Rural against urban. Black against white. Gay against straight. Immigrant against native-born. And economic security against social justice. Rustin knew these were false choices. That’s why he deliberately put himself at the intersection of every major movement for broad, progressive change. As a young man in the '30s and '40s, Rustin never hid his sexuality. He was proud and self-assured, and that was deemed a liability by some of his fellow civil rights leaders. Rustin was forced to operate behind the scenes. He was rarely allowed to serve as a spokesman, and even his leadership of the 1963 march was downplayed publicly. The movement for racial justice was hurt by that concession to homophobia.